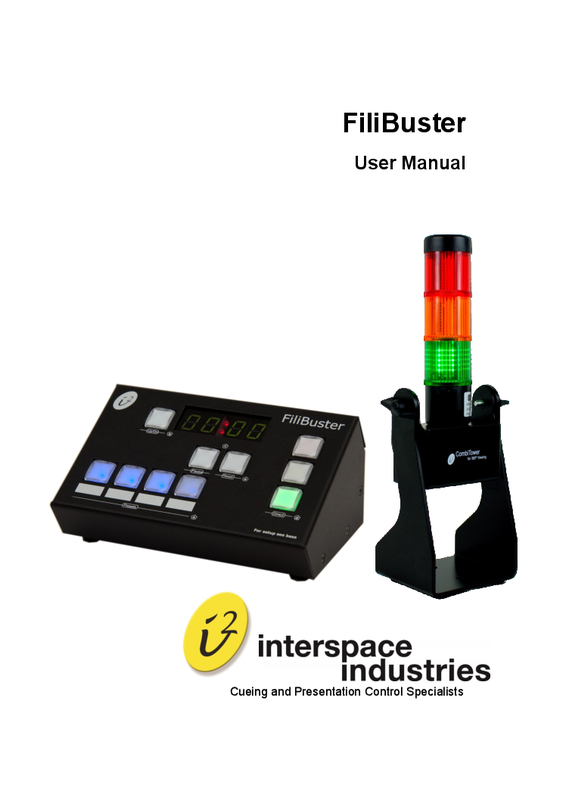 Filibuster is the successor of the Clockwatch by Interspace Industries with a new user interface. 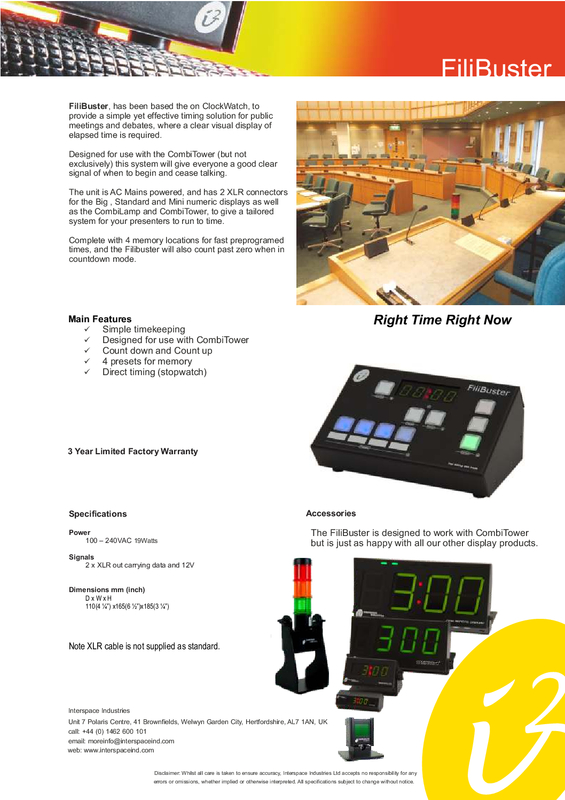 The simple but very effective and reliable countdown system is ideal for visual control of speaking time at presentations, conferences or meetings. 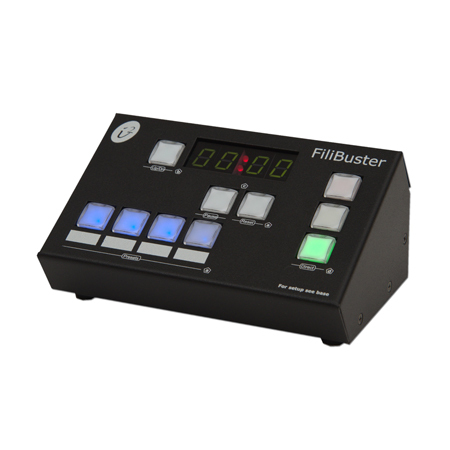 With two XLR connectors it can also be connected to the Mini, Big or Maxi Display.